A place where the soul can relish and stroll between the East and the West, between comfort and surprising interior details. "ovo malo duse" is surely one of a kind residence in the old district of Sarajevo. Six individually designed rooms, featuring local designers and craftsmen, present a subtle mix of the Orient and the Occident that will make your stay a unique and unforgettable experience. Guided tours through Sarajevo, customized tours throughout Bosnia & Herzegovina, individual shopping tours, reservations in restaurants, nightclubs, theater ticket booking and other special events can be arranged at your request. The former craftsmen district Bascarsija is a hotspot of galleries, designer boutiques, individual artists' studios and many restaurants, clubs and cafés. This friendly neighborhood in the heart of the Old Town is the ideal place to discover the genuine flavour of Sarajevo, its history, arts and gastronomy. Warm design for a classic downtown stay. 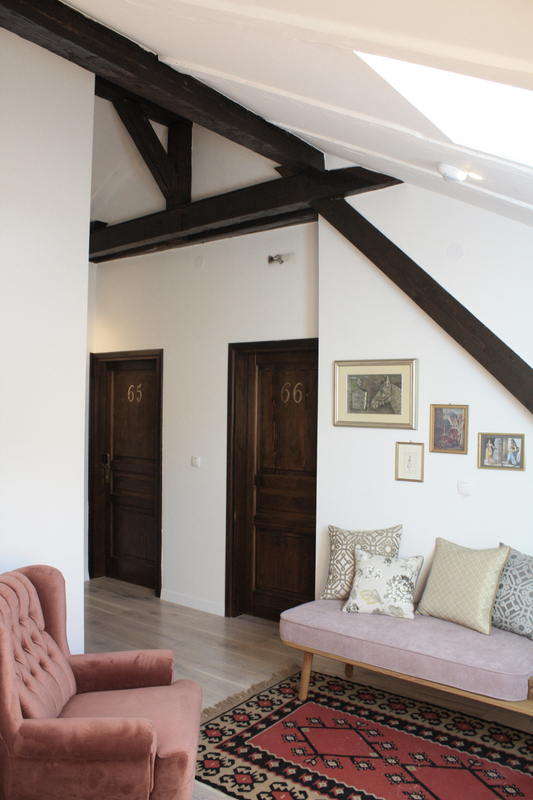 Set in the heart of the Old Town Bascarsija, this Austro-Hungarian vila "ovo malo duse" has been fully modernized in 2016, providing a quality stay of its own kind.